Today, May 26, 2010 is World Multiple Sclerosis Day! Since I'm in Ireland and they are participating as well I'll have to see if I can find an orange beer and we'll toast to MS'ers everywhere! Cheers!! So what will you do today to help raise awareness? Feel free to leave a comment on this post. Ireland or bust. . . I'm so excited to leave for Ireland today but. . . I'm going to miss these two adorable little girls VERY much!!! Ella is having her adenoids removed on Tuesday, May 25th and I won't be here to kiss her in person but I'll be praying that all goes well for her. Please keep her in your thoughts! Well the time has come for Steph to return to California. She has completed three years of Law School and already has a job lined up on the left coast. Last night the three of us got together to say goodbye (for now) to her. I'm not sad because I know we will keep in touch and always remain friends. Steph is planning a visit back to Boston in Aug and I'm going to CA in Sept. We will start out in the San Fran area and check out some wineries and then drive done to LA together where Steph will start the next chapter of her life. CONGRATULATIONS STEPHANIE! I'LL MISS YOU! HAPPY GRADUATION! Today was my last day of work at Act of Love Adoptions. After five years of working there and putting everything thing I had into my job and my clients I am now unemployed (until June 1 anyways)! 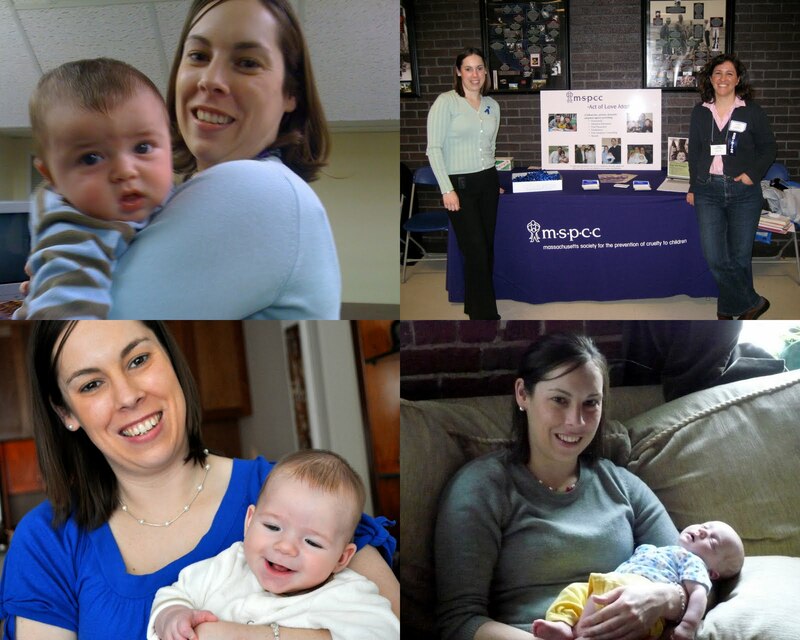 When I started at Act of Love in 2005 I was fresh out of grad school and had a lot of energy and was so excited to be working, especially in adoption. 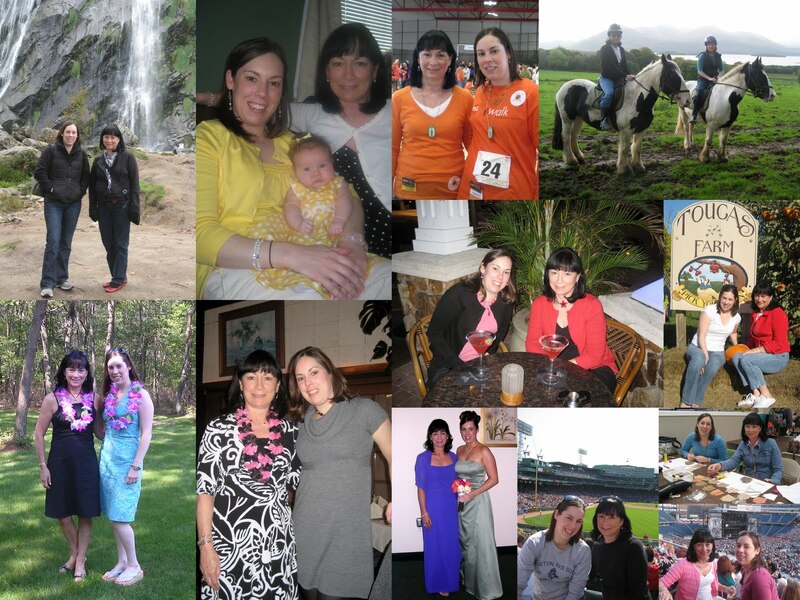 So much has changed in my life over the past five years - I've gained two beautiful nieces, I was diagnosed with MS, I got my LICSW, I moved into my own apartment and SO SO much more. I came into this job with not much experience and I'm leaving with so much more confidence, knowledge and experience and that feels really great. Since I gave my notice five weeks ago I haven't really reflected yet on my time at Act of Love. I think mainly because I've been so busy! Distractions are a good way to avoid getting sad. I don't feel sad (yet) and I think that is because I'm so excited to leave on vacation to Ireland. But when I get back and the following day get up and drive to Melrose (no more T) it will probably all hit me. Then I'm sure I will feel sad and really miss all of the amazing families I worked with over the years. But for now most of all I feel proud. Proud to have played such an amazing role in creating families. This is something I will never make light of because it was an absolutely amazing experience. 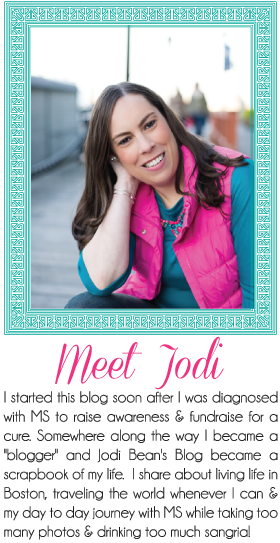 "Dear Jodi, We can't even begin to thank you for everything you have done for our family - your guidance, your patience and your compassion made such a huge difference and we hope you know how much we have appreciated your help and support over the past year. You have touched so many families and we are so lucky to be one of them." So while I may no longer be an Adoption Social Worker, I'll always remain passionate about adoption and remember all of the amazing babies who I helped to be adopted. 1. No more caffeine! 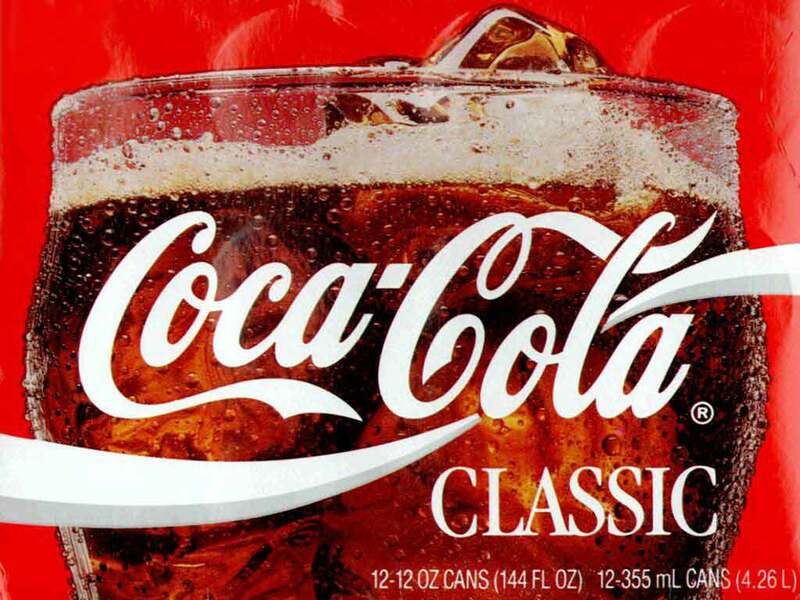 I don't drink very much but I do enjoy tea in the morning and sometimes an afternoon pick me up with a coke. Usually I need the caffeine because I haven't slept well the night before but maybe I don't sleep well because I've had the caffeine during the day? Who knows but it is worth a try. I've been caffeine free since Wed. So far it hasn't helped me sleep any better but I'm sticking to it for a bit longer. 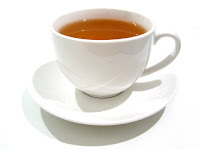 So bye bye my friends and hello to your caffeine free versions! 2. Get more exercise! Since I don't exercise at all right now this shouldn't be that hard right? Wrong! I am the MOST unmotivated person when it comes to exercising especially tradition exercise in a gym. But I know for many reasons it is good for me and good for my MS. I never want to take for granted that I can move and get around so easily because I know many others with MS can't. So this weekend I took advantage of the beautiful weather in Boston and got out to do some exercise. On Saturday I went kayaking with Stephanie and Mary. We had SO much fun and it was a great upper body work out! My arms and shoulders are a little sore today so I know I used muscles I haven't used in a long time. Today I did the "Walk for Adoption" which was sponsored by MARE and several of my adoptive families came out to walk with their children. Joana and Carter came too. It was very hot and we walked for an hour so not sure how many miles but some good exercise. I don't have a picture of me walking but I promise I was there! I head off to Ireland on Friday and I know I I will do plenty of walking while there. So let's hope I can maintain these two lifestyle changes for a long time. 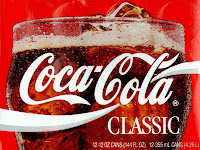 If you seeing me drinking a coke feel free to yell at me and if you ever want to join me for a walk or a day on the Charles River let me know! My mother has been a member of St. Mary's Catholic Women's Club for many years. Each May they have an end of the year banquet. Tonight I attended with her in order to accept a $100 donation toward my fundraising efforts for the Boston MS Walk. I really appreciate their generosity! Lil, the current President, presented me with the check. She also gave me a personal donation which was so nice of her considering I had never even met her prior to the banquet. People's generosity continues to amaze me. Additionally many of the women shared kind words with me and told me I'll be in their prayers. I figure I'll take all the prayers I can get - anything to help me stay strong and healthy! My mom and I got a picture too! Unfortunately her camera was acting a little funky so the pictures came out a little strange. Oh and by the way so far I've raised $3,590 which is AMAZING! The Bean Team continues to great as well. We are still waiting for a few matching donations to come in so I don't know the final total yet but will share when I do! I had my routine neurologist appointment today. 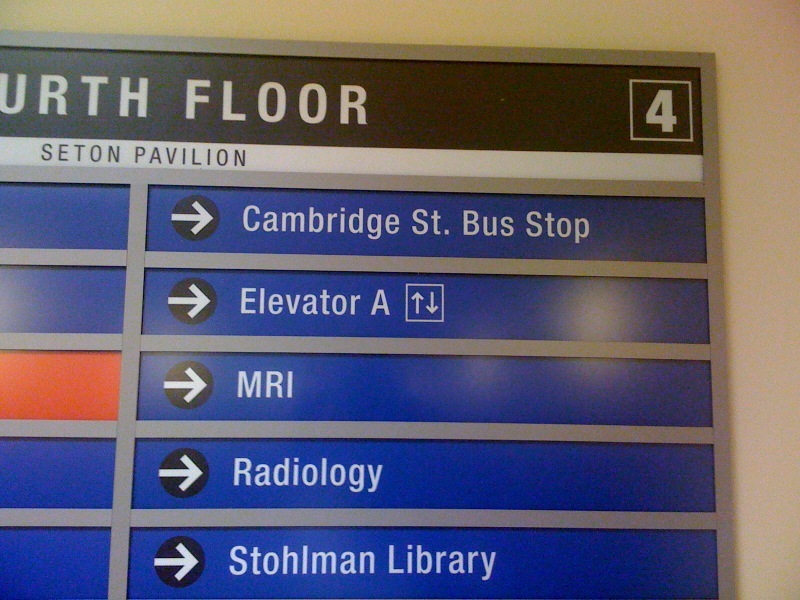 I got very good news about my MRI too. My doctor told me that I had no active lesions and no new lesions!!! 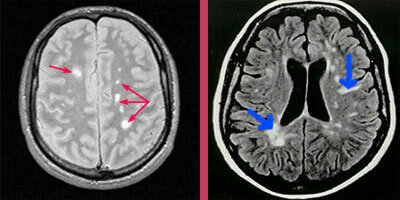 This is a picture of a brain MRI of a person who has MS. Those white spots are what the doctor looks for. Since they inject dye into my arm during the MRI it makes the lesions "light up" if they are inflamed. I was very happy to hear that mine looked great and I don't have to have another one for one whole year! My doctor and I talked about my current MS symptoms the biggest ones being fatigue and insomnia. He gave a lot of suggestions about changes I could make to my medications and we discussed all the options. In the end I decided to continue doing things the same for a little while longer. We both agreed that considering the stress I'm under (due to only having a few more days at my current job, a big vacation and a new job) it may all be contributing to how I'm feeling. He suggested "Lifestyle Changes" which will have to be a whole post by itself. He examined me and told me that everything looked great which is always so nice to hear. But unfortunately when I had my MRI the results showed a cyst like spot in my chest (nothing to do w/ MS) so I would need to have a CAT scan to follow up. I must admit I was pretty nervous even though everyone kept telling me "it is probably nothing." Well many of you know that I've heard those words before and hours later was diagnosed with MS. So this time around I was a bit less trusting. I had my CAT Scan and it was quick and easy. Much better than an MRI. The results showed. . . NOTHING!!!! Great news! They couldn't even find the spot that they saw in the MRI so they think it may have just been from movement during the MRI. So all is fine with all my tests. I also had to have blood work to check my liver function, WBC count and vitamin D level. I haven't heard anything about that so I'm guessing it was all fine. I will see my neurologist again in six months which is the longest amount of time since I've been diagnosed so it is a big milestone. I really like him but I'm happy that I'm well enough to see him less. 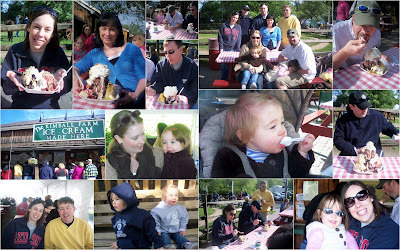 What a great Mother's Day at Kimball Farm for some delicious ice cream! Too bad it was so cold we had to move into the (heated) tent! My Mom, Allan, Scott and Tim all went for a banana split and none of them could finish it. I had a Double Dae which is a lot smaller but I couldn't finish that either. Peyton had a little bit of her chocolate and Jenn's black raspberry and Ella enjoyed some Lemon Sorbet (since she is still dairy free). The girls had fun running around and chasing a rooster that was there, my Dad and Allan took a try at the batting cages and the rest of us just tried to keep warm. Peyton and Ella got a special treat from their parents - new sweatshirts! If you've never been to Kimball Farm I highly recommend you check it out! My dad already requested that we do it all over again for Father's Day! Shopping, eating, horseback riding, drinking, traveling, scrapbooking, talking, hanging out. . . just some of the things that my mom and I do together. I'm so lucky to have a mom who is so supportive of everything I do. I think my mom worries about me (a lot) and even more since I was diagnosed with MS. But I know she only worries b/c she loves me and wants the best for me. She is always there for me and some people would say I'm spoiled but I just call it lucky! When I moved into my new apartment in August my mom pretty much painted the entire place. She decorated and helped me hang pictures, bought me curtains and made my apartment feel like my home. When I bring my laundry to their house she usually ends up doing it for me! She cooks yummy meals and saves some for me. She takes care of me when I'm sick or recovering from foot surgery. She has become really good at IM'ing and we chat over American Idol on a weekly basis. It is great that we like so many of the same things and can do them together. I'm so appreciative to have her and for all she does for me. special THANK YOU to my friend, my mom! Happy 1st Birthday Carter and Happy Mother's Day Joana! Today is Carter's 1st Birthday. Carter is the son of a great friend of mine, Joana. Together with her husband, extended family and close friends we celebrated today. Carter enjoyed eating some cake and playing with tissue paper! I don't think Joana has slept through the night since Carter was born so she know what it feels like to be exhausted. She still never minds when I complain about being fatigued and will always listen. And thank God she is a stay-at-home mother right now b/c I don't know what I would do if I couldn't call her to vent about work stuff! Joana and Carter did the Boston MS Walk with my team this year and did a great job fundraising too! Joana thank you so much for your continued support. You are a great friend and an amazing mother. Here is too many more years of friendship and motherhood. Happy Birthday Carter!!! Happy Mother's Day Joana!!!! Last night Fidelity sponsored MS Night at the Pops which basically means they gave tickets to the Greater New England MS Society for a discounted price. So my mom and I were able to attend and sit in really good seats for a great price! My mom and I posed by the stage during intermission. I wanted some instruments in the picture! If you are wondering what is on my mom's arm under her sweater it is a brace. She fell and broke her shoulder about 2 weeks ago while watching Peyton and Ella. So now she has to wear the brace for another 4 weeks! She was a good sport to get dressed up and come out. Thankfully my very generous dad drove us to Symphony Hall and picked us up afterwards!! For those of you who have never been to Symphony Hall it is beautiful. On the main floor they set up little round tables for people to sit at. Then you can order food and drinks from the servers. It is really fun. They had really cool lights that looked like fireworks. It was really pretty. Last nights special guest was Idina Menzel. Before you say "who the heck is she" let me tell you b/c I'm sure you'll know who she is! Idina was Maureen in Rent and Elphaba in Wicked (two of my FAVORITE musicals)! Recently she was in the show Glee too! Idina sang several songs and has a beautiful voice. She is rather quirky and told some funny stories in between songs. It was a lot of fun. This was the best picture I could get of her due to the funky lights they had on and it didn't come out great. But you get the idea. It was a great night. Only my 2nd time ever seeing the Pops (I went last year to MS Night w/ Michelle). The Pops really are fun to see and hear and I recommend going if you've never been. I'm glad the MS Society makes these opportunities available to us. Where Is The Most Interesting Place You Have Been When The Power Has Gone Out? Well before today I didn't have a very exciting answer to that question but alas now I do. . . It started out as a normal day. I took a sick day from work b/c I had to have my routine MRI today (I have them every six months now). 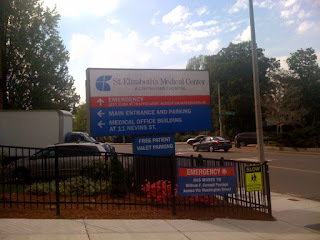 I got to St. Elizabeth's on time and was already pre-registered so I went straight to the MRI department. So I got all checked in, changed into my johnny and was ready to go. My nurse took me into the MRI room and got me all set up - earplugs, a blanket, etc. My MRI takes about an hour so it is important to be as comfortable as possible. For anyone who has ever had an MRI you know that it is difficult to get comfortable when you are laying on a cold table and listening to annoying buzzing noises in your ear! I was about half way through when all of a sudden the power went off!!!! 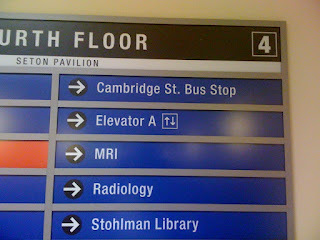 I was inside the MRI machine and it was total darkness! My nurse came into the room and was talking to me but unfortunately I could hardly hear her since I had earplugs in. She told me the power was out (obviously) and that she was going to pull me out. Since the machine was off she had to manually pull me out which was somewhat difficult. Once she got me out she told me I could sit in a chair and hang out while we waited for the power to come back. A few minutes later it was on but it took about thirty minutes to get the machine up and running again. When she was ready for me she got me packed back into the machine and injected me with some dye. They use this dye during the 2nd half of my MRI b/c it shows in the pictures if any of the lesions in my brain are inflamed. So back in for another 30 minutes and luckily the power stayed on the whole time! So just in case MRI's don't make you anxious enough just throw a little power failure in the mix to add to the excitement! At least now I have a good story to tell on my blog. I actually wanted to have my nurse take a picture of my in the machine but I didn't want her to call psych thinking I was crazy. Haha! I will see my neurologist next week and get the results of my MRI. I'll be sure to update you and let you know what it shows. Feel free to leave a comment if you have a good story about the power going out!